The aggression that pushes people out that I am referring to is the gendered slurs, the homophobic slurs, and the general conversation that leaves many people feeling gross for having participated in the video game community. I have been toying over collecting the evidence that demonstrates this is still, despite great strides, very much a part of the video game community, of which #GamerGate is simply a quick snapshot, but that will have to join my list of writing for the Interim. But if you don’t think this is still part of it, and you play any games with a Global Chat (even Clash of Clans) spend a few minutes on that and you’ll more than likely see what I’m referring to at this moment. I have been using both terms “woman” and “female” throughout this paper. I do not mean this as an exclusionary word. In my own experience, I use them interchangeably. When pushed, I will demarcate along biological lines and cultural lines, much in the way Gia Milinovich explains. But for everyday instances, and especially when people are being attacked for both claiming woman as their gender or people assuming they identify as a woman, I will claim solidarity with anyone who identifies as a woman. And in the instance of #GamerGate, since many tweets were sent with gendered and sexist harassment, this resolve is only strengthened. I just wanted to clarify that I am most comfortable a including all the disparate incarnations of femininity (or womanness) and not inclined to draw lines regarding what being a woman looks like, acts like, sounds like, loves like…… Please leave your thoughts in the comments! Update – I realized that I did not explicitly state here that these same thoughts apply to all genders. Please share your pronoun preference, and I will gladly use it. Gender is already socially complicated to pin down, and I find the labels rarely help in understanding the person. I was thinking of copying my Storify here, but that would change the layout and look. And it would be more work than is necessary for this moment (and I’m a little tired currently). Please feel free to read it here. If you have any thoughts or comments, please feel free to leave them in the comments below! https://storify.com/EnglishNerd/gamergate (so it’s easier for everyone to be able to find it). Update: I updated the site, so the Storify now lives here, too! https://www.englishnerd.net/?p=1190 Please still feel free to comment! (especially if you find dead links.) Thanks! I feel like everyone knows that there are always dark alleys regardless of how bright the streets are. The Internet has always had dark alleys the size of California freeways. The most recent incarnations of these are 4chan and 8chan. The forums most pertinent for the GamerGate conversation on 4chan (boards.4chan.org/v/) and on 8chan (8chan.co/gg/). They are absolutely Not Safe For Work! They are barely safe for people who actually like other humans to tread through. The addresses for the dark alleys will change, as they have through time. The users always feel like wherever their current home exists sells out, which precipitates a move to a new, more welcoming space for what has always existed online. Trolls live on the Internet. The traditional stories of Europe may have them under bridges threatening and being threatened by goats, but with the creation and rise of the Internet, we have learned they live in the forums online. In the stories they turn to stone in the sunlight and are generally giant oafs who will eat anything they can catch. Online, they post comments wherever they think they can get a rise. They are generally anonymous, and their posts are generally targeted to be the most offensive they can get past the moderators. The comments are generally easy to pick out, because they are designed to illicit the most vitriolic response from the other people in the forum. The rationale that has been gleaned over the years for this behavior is that the troll is looking for attention and enjoys the discomfort of the people who post responses. Years ago, I saw someone explain that they had created a game with a friend where they would go onto comment sections and post tolling comments in order to gain points for all the responses, and for the types of responses, they each received. 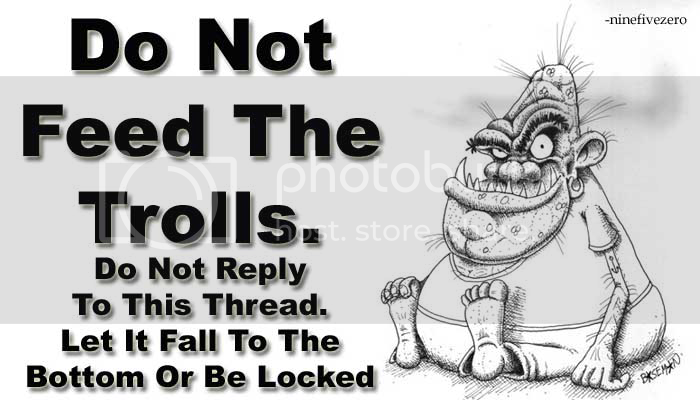 The long standing admonition has been, “Don’t Feed the Trolls“. This advice is to ignore the people posting the outrageous comments with the thought to starve the poster of the attention that they desire. 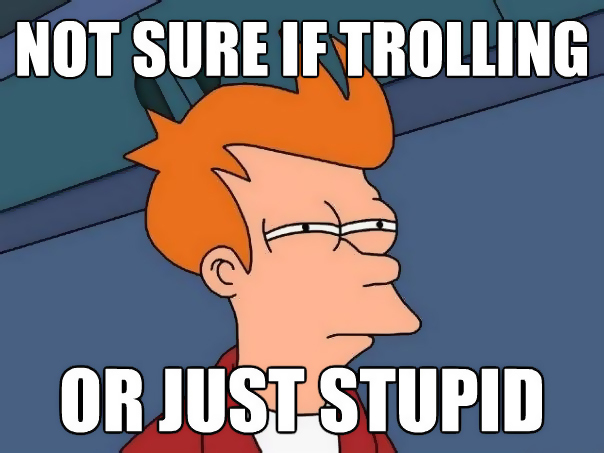 Recently, though, there is beginning to be some resistance to this ancient wisdom of the interwebz. Whitney Phillips reframes trolling as a form of bullying and creates space for nuance in the activities that have historically been grouped together under the term troll. Phillips then argues that the long-standing advice actually turns into a form of victim blaming if the target speaks out and receives more attention in response. As the Internet continues to become a home for more people from diverse backgrounds, trolls and how people deal with them will continue to change. This statement is a little bit of a slight against the harassment that many of the women (and to a lesser extent men) involved against the misogynistic presentation of ideas and basis of attacks in the GamerGate Twitter fight. The sentiment it sums up was the frequent refrain of sea lioning type tactics. The phrase has a Tumblr dedicated to it. And it has even made it to the archive of Know Your Meme. The constant refrain helped to shape part of the conversation as a whole, while becoming a kind of joke amongst those who spend a large portion of their time on the internet. A quick note on hashtags. If you’re old enough, # is a pound sign. I’m not entirely sure what it did on touch-tone phones (because I’m apparently not old enough. As this note isn’t about that research, I’m not doing it this time around. Please leave notes and links in the comments regarding this gap in knowledge, if you feel so inclined), but the symbol predates the internet. Twitter was the first (as far as I know) major social media platform to being utilizing this symbol for a specific Internet era purpose. The use of # (known now as a hashtag) tells the internet to sort and archive the data surrounding the hashtag. So, when someone posts a Tweet to Twitter, if they include a # and then words connected to it, such as #GamerGate, the platform knows to sort that information into a searchable category. This tagging system allows for easier search through millions of bytes of data to find related information more easily. Going to Twitter and searching for #GamerGate will provide a plethora of tweets beginning with the most recent tweet using the hashtag. Instagram and Facebook adopted the # as a method of categorizing the data on those platforms as well.